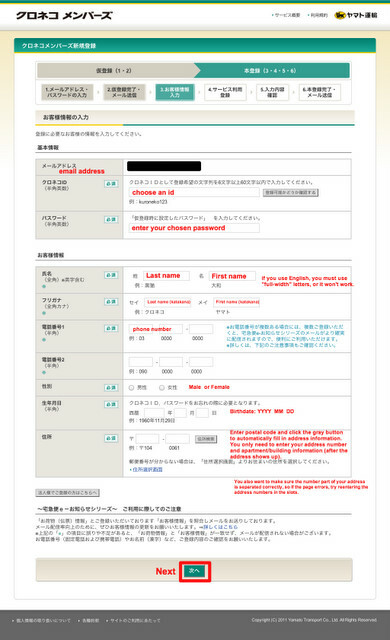 Update (April 24, 2012): You can now request a redelivery in English online or via phone without an account on the English version of the site. Go to Yamato’s website. 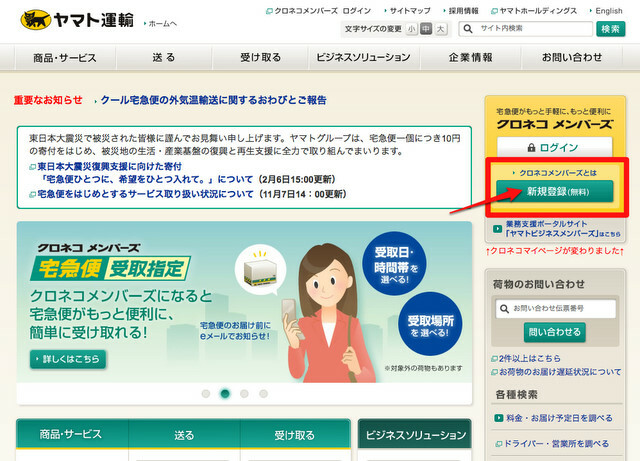 On the right hand side, click on create a new account (the green box where the red arrow is pointing). 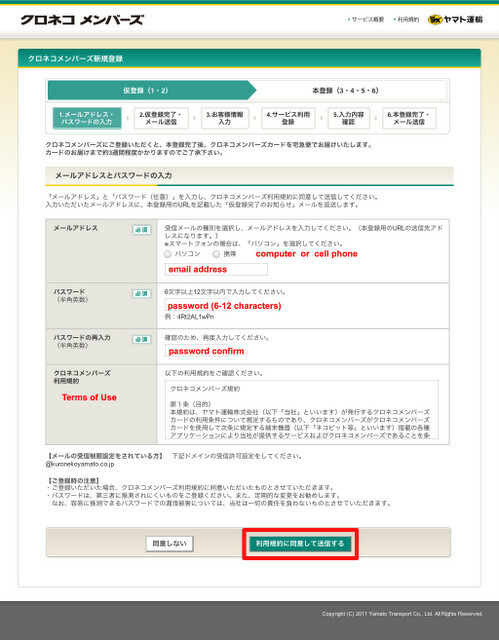 Enter your e-mail address (either cell phone e-mail or regular e-mail). Choose your desired password. Then click the large green button on the bottom right. 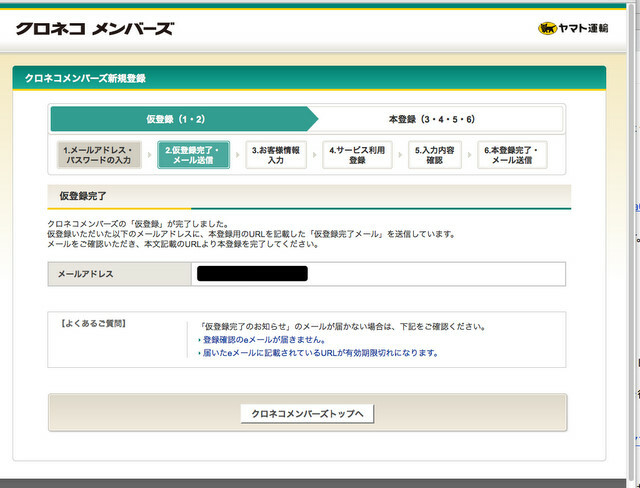 The next page will say to check your e-mail (and list the e-mail you entered). Check your email and click the link that is sent to you. You will be taken to the following page in Step 5. Enter your information as indicated in the picture below. 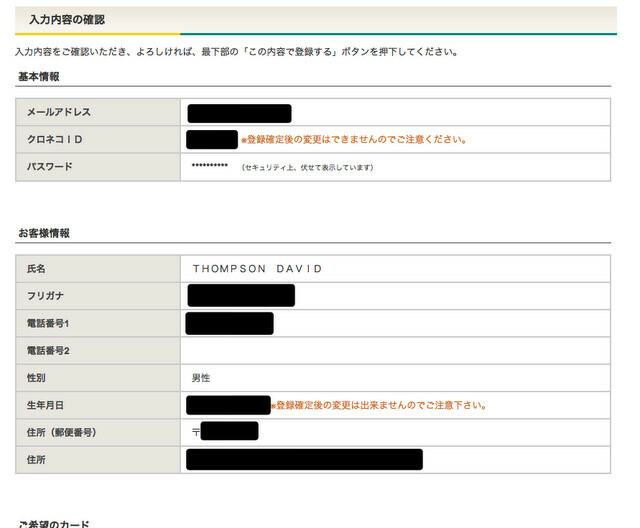 You'll want to be careful with name, as if you use romaji you should enter them as "full width" characters, so my name would be ＴＨＯＭＰＳＯＮ　ＡＳＨＬＥＹ. You'll also want to be careful with the address as the address numbers go in two different boxes. So if you're address was SOMETHING123-4, you'd put 123 in the first box and 4 in the second (all of this comes after you enter your postal code and click the gray button, which will automatically enter all the first part of your address for you). Click 次へ when you're done. You can change the notification options if you prefer (top box), but not necessary. 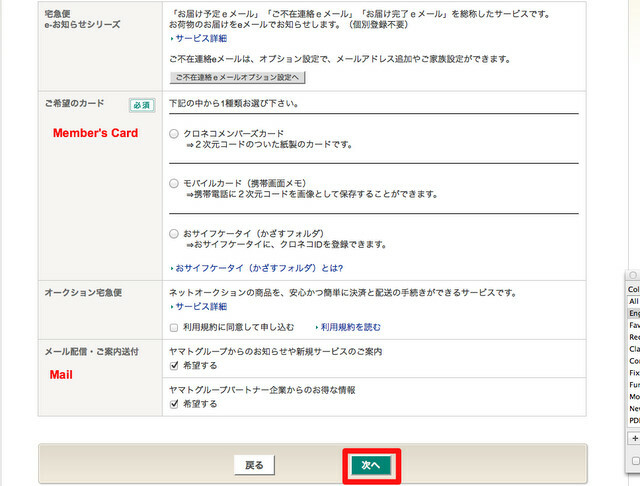 The second box you can choose what type of member's card you want - choose the top option if you want a regular card. 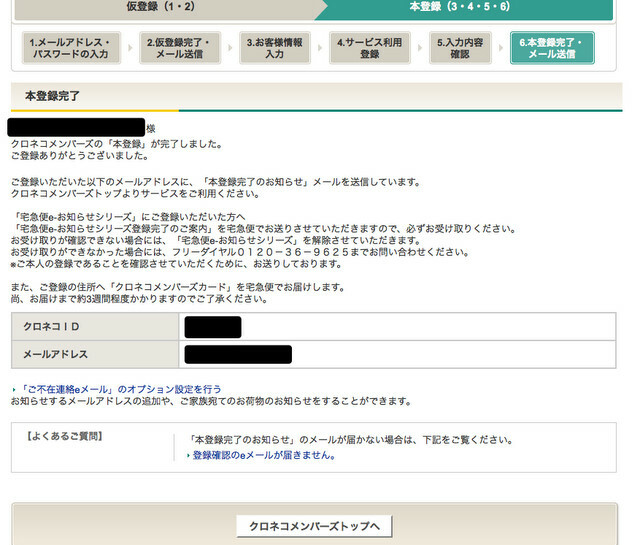 If you don't want to receive other news mail from them, uncheck the last two boxes. 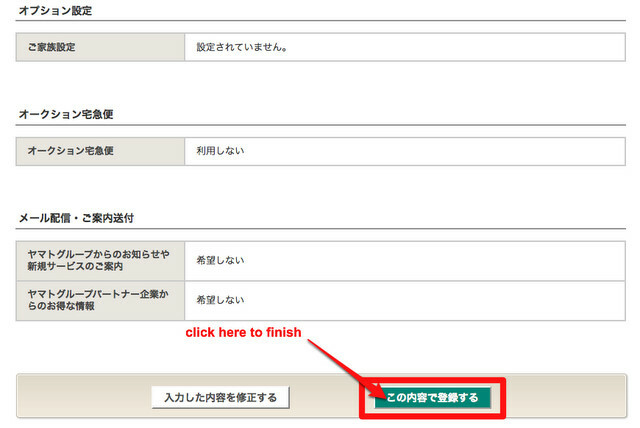 Click 次へ to continue. Now confirm all your information (scroll down). After confirming all is correct, click the green button on the right. Click the button on the left if you have changes to make.